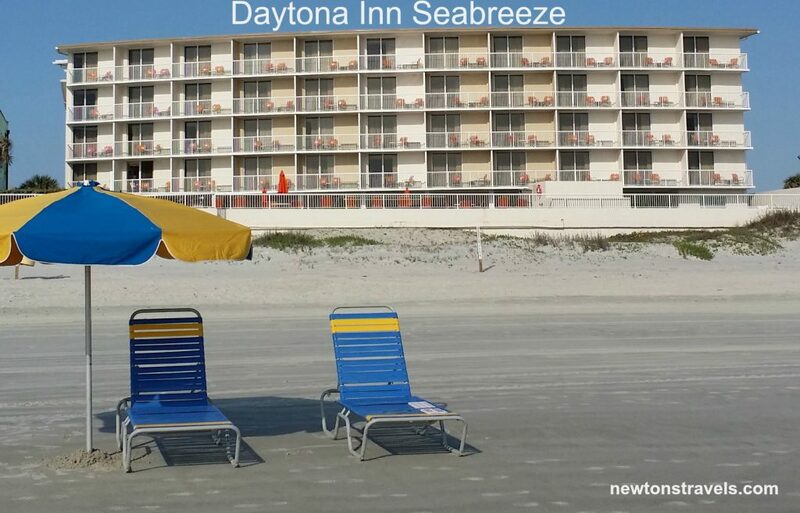 You are here: Home / Destinations / Affordable Daytona Beach Hotel: Great Views, No Crowd! 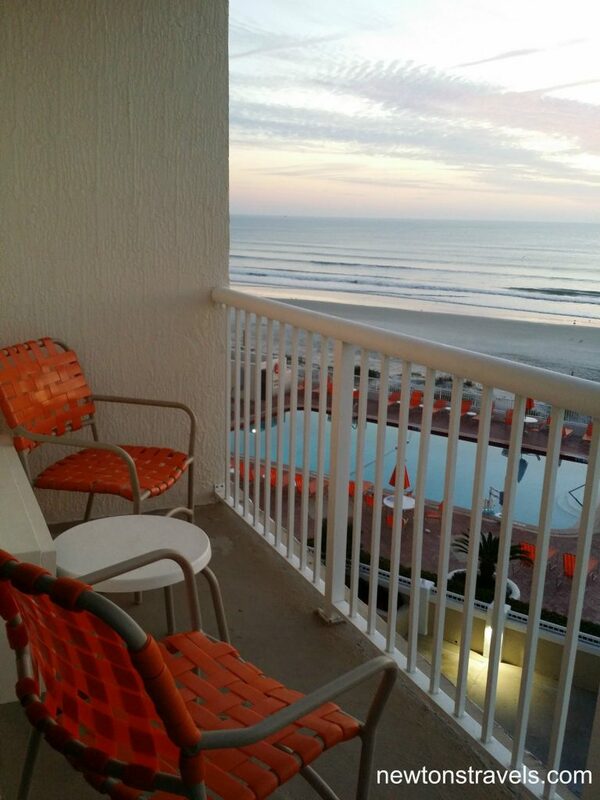 How would you like to have Daytona Beach all to yourself? Well, that’s how it felt for me. Once the crowd of cheerleaders dispersed, the beach was calm and quiet. Just a few seagulls in sight. 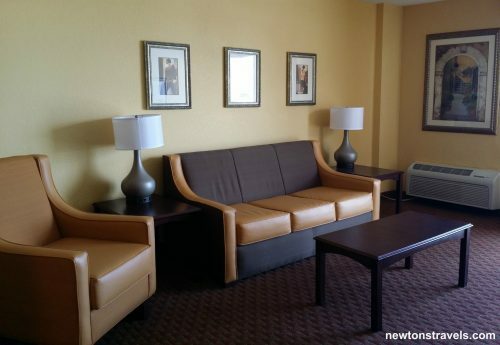 There are two lounge chairs calling your name. Before I even arrived at the Daytona Inn Seabreeze, I was able to talk with Chris, the General Manager. I just wanted to make sure to introduce myself and find out if there was anything I should know before I arrived at the hotel. I did a ton of research before choosing a place to stay in Daytona Beach and there wasn’t much available due to the cheerleader competitions going on that week. He was very helpful. I arrived on a Thursday and had a great welcome to their hotel. 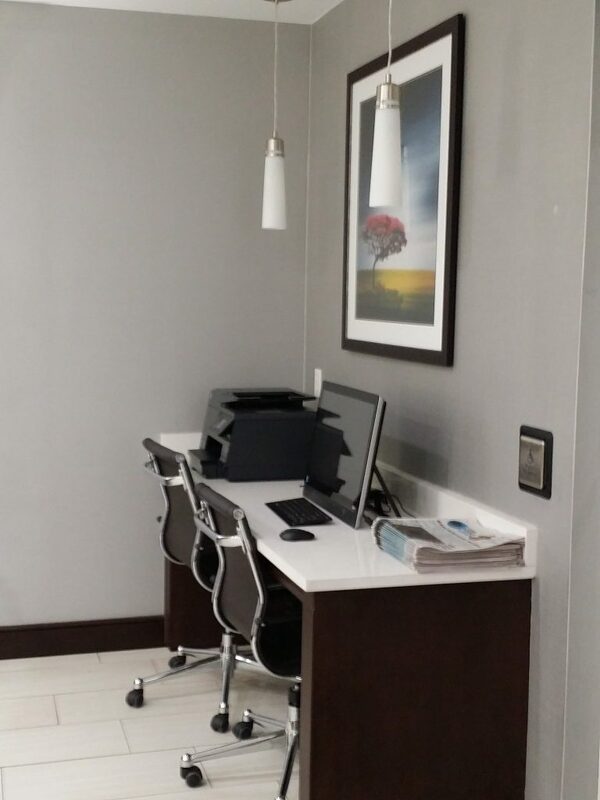 Their front desk area is newly renovated and remodeled. So clean and beautiful. Chris showed me a room he thought I might like more than the one I originally booked and he was spot on. It still has some remodeling to be done in it but it was clean and very nice. The balcony is spectacular although next to a building that is empty that will be torn down late 2016. The view will be better once that is complete because they will replace the old building with a parking lot from my understanding. The view from the room was awesome. I love to people watch so it was perfect. I even tucked our binoculars in my backpack and it was fun to see all the way down to the pier. I got some stunning photos too. I booked my room on Hotels.com and was very happy with the process of that too. I actually liked that the hotel charged the room immediately upon arrival instead of waiting until checkout however I do see where that could pose a problem should someone book a room and then need to leave early for any reason. The refund would take time and that could be a messy situation. Luckily I didn’t have to deal with that. 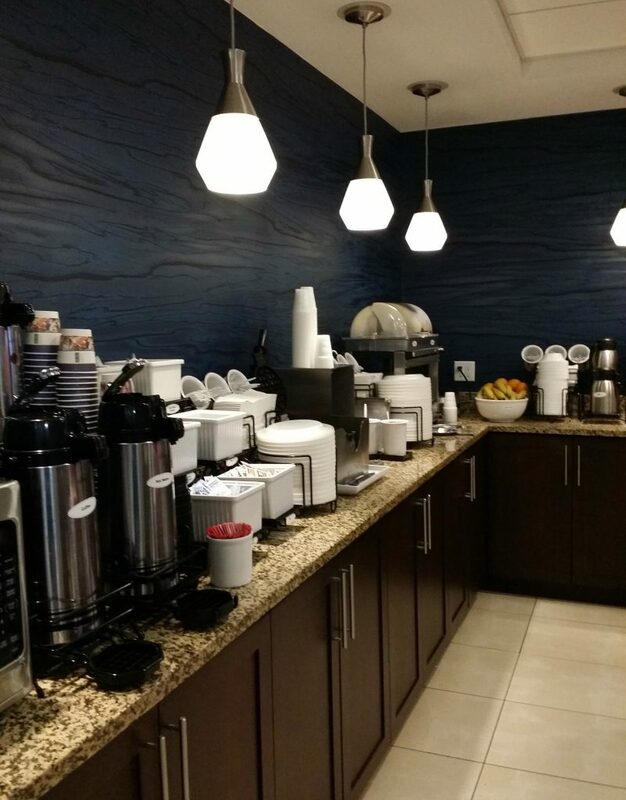 The Daytona Inn Seabreeze has a complimentary breakfast from 7-10 AM. It had a very nice spread and the ladies there were so sweet and accommodating. They had everything from eggs and bacon to waffles, cereal and much more. So glad I went early each morning because it was packed tight with cheerleaders. Great tip from the manager! One of the biggest issues for me is that their Wifi is not secure. They do give you a Wifi code but it’s a wide open connection. I manage a WordPress security company and know better than to get on an unsecure Wifi connection so I use a VPN (virtual private network). I currently use Private Internet Access. Always be sure to keep your info safe while traveling! Back to the room, I stayed in Room #421, a corner room right near the elevator but far enough away I couldn’t hear it. Like I mentioned, I stayed here during the big cheerleader competition so the hotel was booked solid. Although full of cheerleaders and a bit noisy the AC drowned that out for me so it wasn’t a bother. The sounds of crashing waves makes up for it. In fact as I was writing some of the notes for this post, I heard the waves crashing right off the balcony. We all love that beautiful sound don’t we? 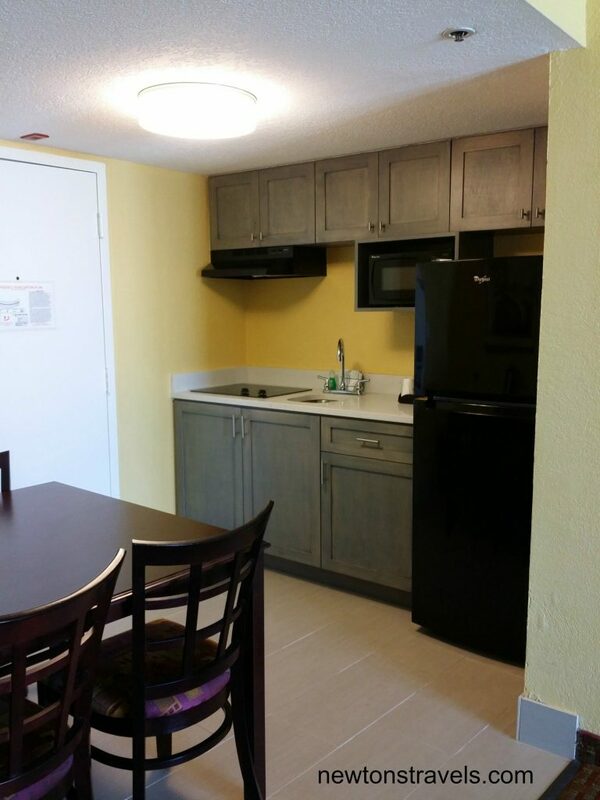 The room had a nice kitchen with fridge, microwave, stovetop and dishes. I went to the grocery store and grabbed a few things and was able to make dinner in the room a few times. Quick and easy plus a great way to save a little money too. 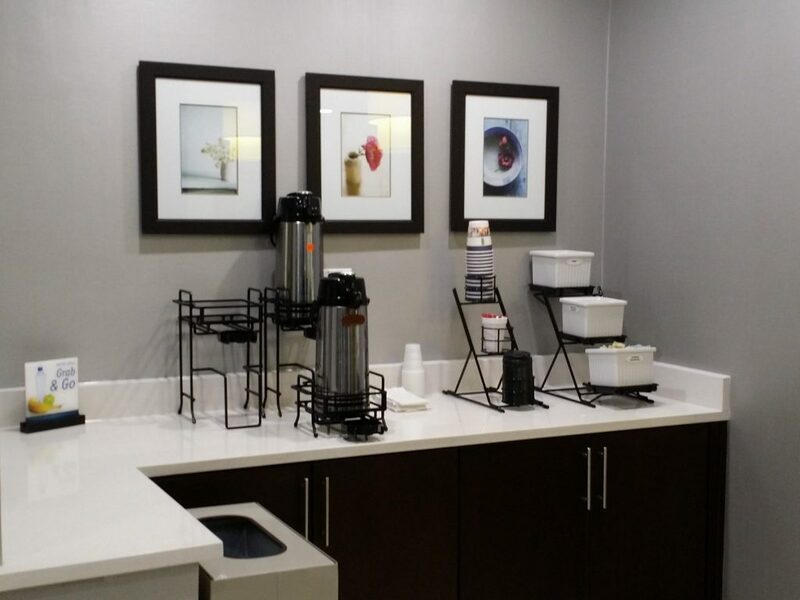 I’m not quite sure how to work the coffee machine so I grabbed coffee from the breakfast bar. The room aka suite had a king sized bed in a separate room with a bathroom. There was a small closet and a bench plus a TV. 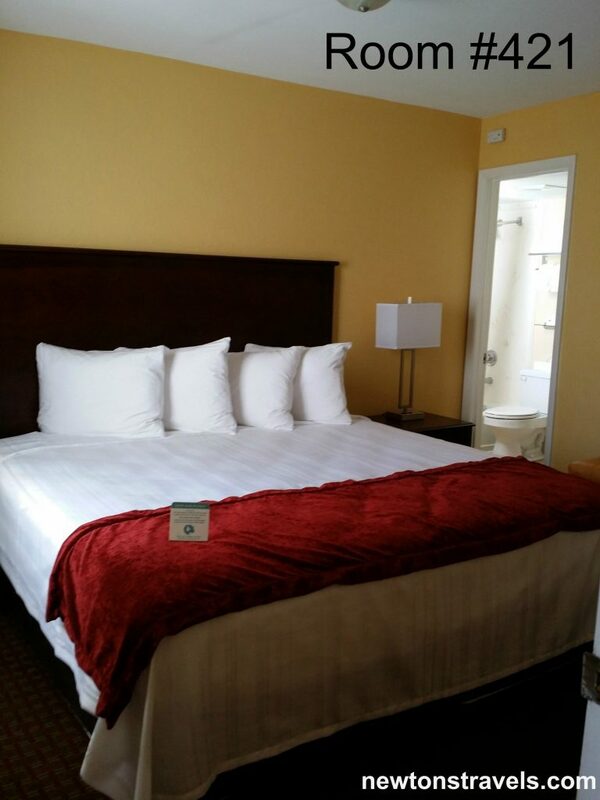 The bed was very comfortable and the room was cleaned and made up almost daily. There was one day where it wasn’t, maybe they missed us or didn’t have enough help. All I needed was a few extra towels and some dish soap and paper towels for the kitchen. They brought it to me, no problem. There was a pull out couch and an extra closet in the living room plus a desk, TV, etc. I think Chris said there are still updates to come for this part of the room. I would highly recommend this hotel. It really is in the perfect location. And great service, thanks Chris, Tonya and Annette. 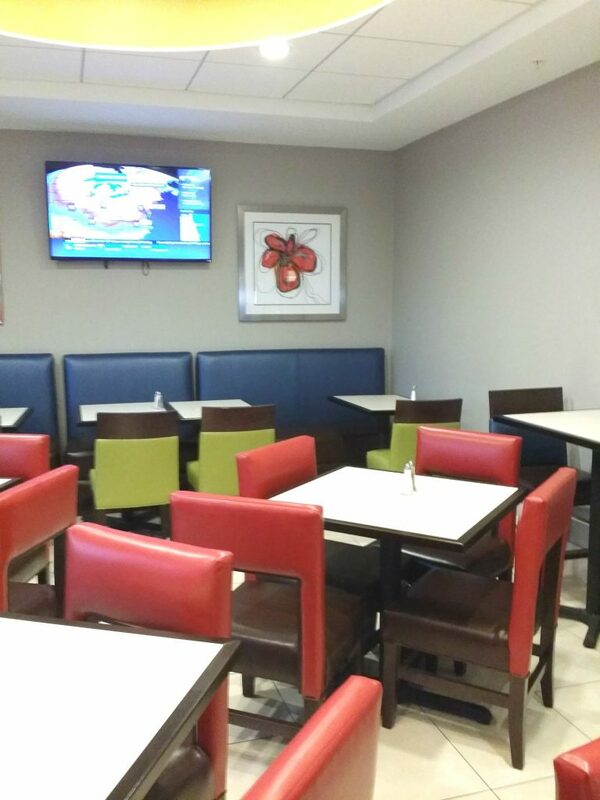 Chris should be proud of his crew that work at the Best Western Daytona Inn Seabreeze hotel. 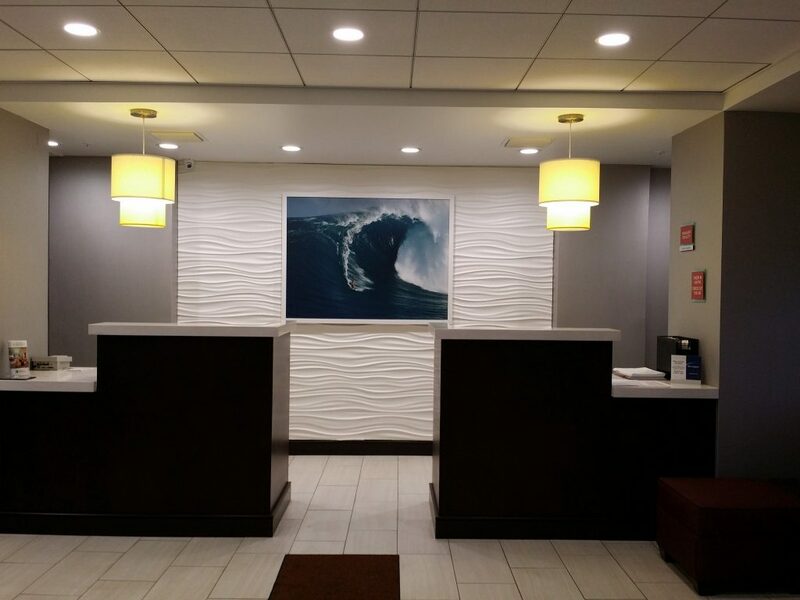 They are helpful, personable and always greet you with a smile. Not to mention the spectacular view! View from my hotel room. I’m in #daytonabeach for a girls business mastermind. So beautiful. I didn’t use the pool but it’s beautiful, well kept and the beach is just steps away from it. I did head down to the beach to stick my toes in the sand. Heaven! Groupon Getaways has some great deals! You can find thousands of vacations through Groupon to places like the Bahamas, Costa Rica, many Florida locations and MORE! You can grab flash deals and other exclusive disounts through Groupon Getaways. Check it out! It was a great trip, for a woman’s business mastermind retreat. I’m already looking forward to heading back next year. Too bad we’ll be staying too far from this hotel or else I would definitely make reservations here again. 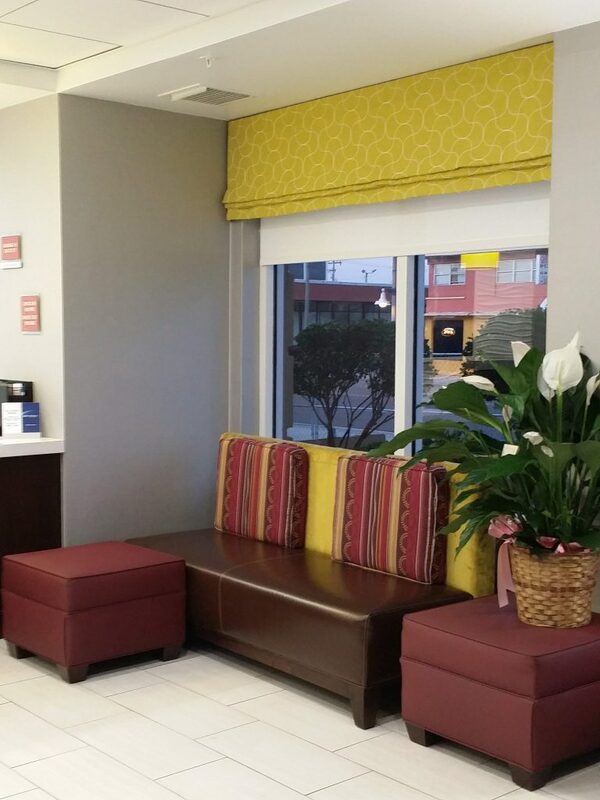 Where do you like to stay while in Daytona Beach, Florida? P.S. Have you heard of Ebates? 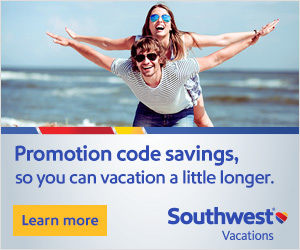 Join now for free using my referral link and get cash back when booking your travels through places like Groupon Getaways, hotels.com and more.